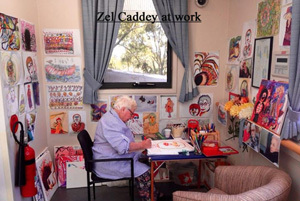 Zel Caddey is 89 years old with Alzheimer’s. She is very happy and communicates with joy and love through her drawings. She is having her first solo Feb 2015 in Newcastle nsw. * Admin issues: SHARE dementia awareness thru buttons below. If interested in receiving notice of future blog postings there is a “follow” button in the upper left corner (MS Explorer) or lower right (Safari and Chrome). Feel free to leave your thoughts in the form of comments, but please filter your comments with truthful loving kindness to all concerned. If there is an advertisement below, I have no control over what is shown. — Full legal name on record. 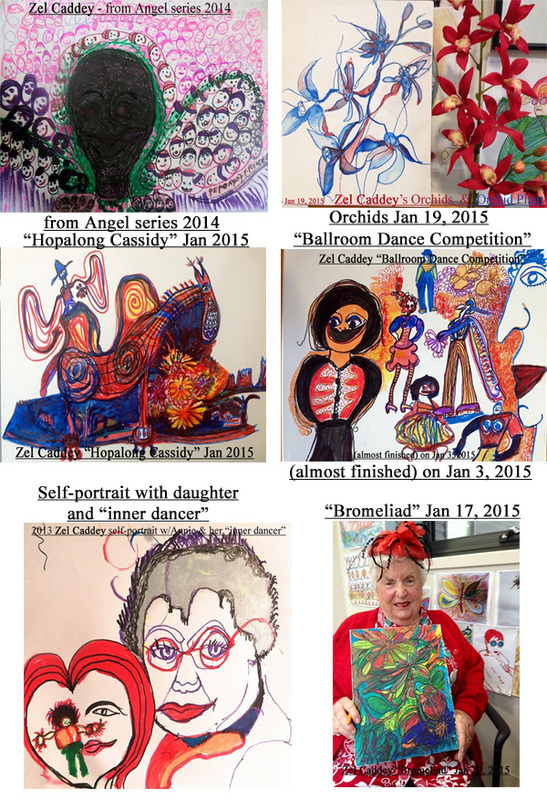 copyright on 2015-01/27 by Zel Caddey.